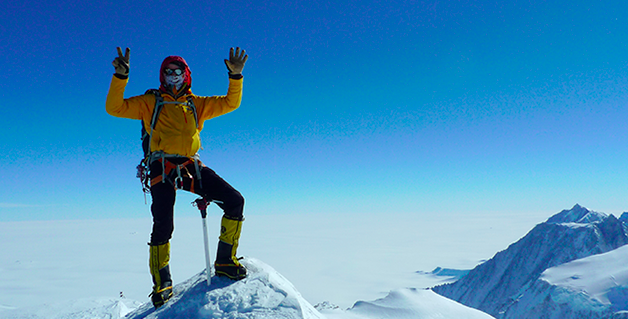 Martin Frey summits Mount Vinson 2012 completing his quest to summit the highest peeks on all seven continents. Whether in Sports, Business, Life or Philanthropy what is the one signature characteristic of those that succeed in their endeavors in this world? And what do Tiger Woods, Martin Frey, Steve Jobs, JK Rowling, and Rose Warne, have in common? The other night, I was at dinner with the remarkable Martin Frey and his beautiful and talented wife- Kym. Martin is that extraordinary individual that you come across once in a lifetime, who has done something so profound it simply makes your jaw drop. “When Martin Frey set out to climb Mount Kilimanjaro, he had no inkling it’d be the start of an 11-year mission that would take him across continents, through oceans” and led him to become the first person to climb the 7 highest peaks and sail the 7 seas. Of the over 7 Billion people on planet earth, his feat of climbing the summits of the 7 tallest mountains on all 7 continents is pretty impressive. In fact, only 350 people have done it putting our friend Martin among the truly elite! In 2016, he completed his amazing odyssey by sailing across the North Pacific in an arduous 30-day journey making him the only person to ever climb the 7 highest peaks and sail the 7 seas. My talented wife, Dr. Linda Bradford, and I had been sharing with the Frey’s the sojourn of one of the businesses we have been building called FluentWorlds – a company that facilitates language learning in 3D virtual worlds. 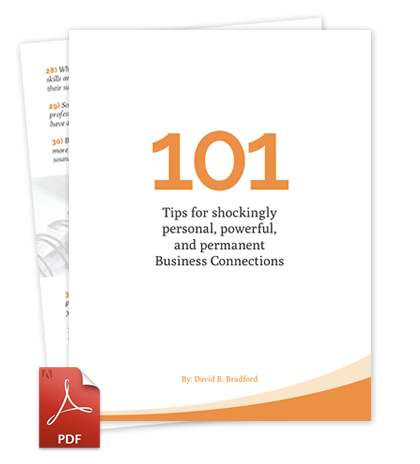 The cost, time and effort of building this business has not been for the faint of heart. 2. Fantastic perspective on persistence and vision. 3. Such a great perspective! 6. You have to believe you’ll see it, as you trudge (metaphorically) up the mountain day after day. 7. Thank you for sharing! I love this! Never give up, y’all! 8. I expect the summit was more brilliant and magnificent precisely *because* of the 49 days of tenacity! Exactly 20 years ago almost to the day, Tiger Woods won his first Major golf championship – the Masters held annually at Augusta National. He won by an astonishing 12 shots over the best players in the world meaning he averaged beating the entire field by 3 shots a day for four straight days. Woods also became the youngest (21) to win at Augusta. Woods struggled on his first nine holes of the first round, turning at 4-over-par 40. Many people would have just packed their bags and gone home at that point. But not Tiger. He shot six Under on the backside to finish the 1st day with a 70. My wife and I were privileged to be personal witnesses to this greatness. We were there on the hallowed grounds of Augusta National on the third day of the tournament as Tiger’s lead grew to an amazing NINE shots. But here is the REST OF THE STORY. As we were walking off the grounds that day as the sun was setting, I heard a familiar “click” of a golf ball being struck. I looked around to determine where it would be coming from as tournament play had ended for the day. We walked over to the driving range and saw ONLY ONE individual still out hitting golf balls. It was none other than Tiger Woods. We sometimes think of Tiger Woods as one of the most “talented” athletes to ever walk the earth but I will tell you between the ages of 3 and 21, I would assert that no one in this world hit more golf balls than Tiger Woods. Yes – talent is important –but the big differentiator was Tiger’s willingness to persist. Rose Warne is one of the most talented musicians I have ever known. She turns 100 years old in the nest month. Her life has been full of ups and downs- Divorce, the death of 8 siblings, and living through 2 World Wars and countless global calamities. But through it all, Rose has played on. She continues to share her gift of piano playing at the Senior Center once a week. No – she does not live there. She continues to insist emphatically to live at home while she continues to hone her craft—at the Age of 100! I know . . . she is my tenacious and persistent Mother-in-Law. Steve Jobs’ business career by any measure is one of the most successful in the history of the world. When he was 20 years old, Jobs started Apple along with our friend Steve Wozniak and in 10 short years it was a $2 Billion dollar enterprise. However, Jobs was then fired from the company he created. He was unemployed and later said that “that getting fired from Apple was the best thing to ever happen to him, because it allowed him to think more creatively and re-experience the joys of starting a company.” He went on to found NeXT computer and then Pixar. NeXT was later purchased by the company he had founded – Apple -and he went back to work as CEO there. Jobs did not give up. Instead he persisted and his company became the most valuable Company in the history of the world just before his passing. J.K. Rowling, author of the Harry Potter books, was at one point the second-richest female entertainer in the world exceeded only by Oprah Winfrey. But know this—Her first Harry Potter book was soundly rejected by 12 separate publishing companies. One book publisher even told her to “get a day job.” When the original Harry Potter book was being written, Rowling’s life was a mess as she was facing a divorce, living in a tiny apartment with her Mother who was near death and surviving on Government subsidies. The result pf JK Rowling’s persistence was a name brand in Harry Potter that exceeds $15 billion. Thus, I am struck that the one consummate characteristic of the successful soul is Persistence. The persistent people that I know are both Dreamers and Doers. As I have said many times, the World needs Dreamers; the World needs Doers but most of all, the World needs Dreamers that Do. It has also been said that, “Persistence describes the ability to push and push toward the finish line, even if the finish line seems comically out of reach. It’s about tenacity and stubbornness, in the best sense of both words. So do you want to succeed in Life? In Business? In Sports? In Entertainment? Excellent comments, David; and your life has demonstrated that persistence pays off. Thanks for sharing. mber oI had a Chinese female boss at Digital (DEC) who shared books and knowledge and understood when I called in sick due to a sick child. Teri Yang was here name and I would like to thank her. At AOL. I had a bevy of females who mentored me. They always said thank you. When my son at 19 got Hodgkins my HR lady fought tooth and nail with our Insurance’s companies. He got well and the woman of AOL thought me so much. I got laid off in 2007 but only because I was a number on a spreadsheet. I was crushes as I loved what I did, but understand the economics! Deb Shaw Digital Equipment Corporation Ana America online and hisrory woman around St. Augustine, I have an alumni meeting coming up and will let the Profs know I am here to mentor! Mentor, mentor, mentor and read, read read! Of course..just listen and be there for all those scared college kids! David, thank you for this excellent and motivating article. Your stories are so well written, and masterfully support your message. Your Aunt Mary LOU is one of my dearest friends. She introduced us via e mail, but somehow we just didn’t connect beyond an initial follow up e mail. I do admire your talent for communicating important lessons. Carol – Yes – we have spoken about doing some speaking gigs. Thanks for your kind comments. This is an article that contains priceless applicable advice!! Love the analogy of tiger woods, reminds me a little of Michael Jordan and how practice had such an astonishing influence on him becoming the legend he has become. with a different idea. I guess it depends on the customer research! Being “doers?” Maybe the better idea would be persistence in finding a good product that that will sell! Alex- thanks for weighing in with some great thoughts! Your very best so far! I love the message, and is a timely for everyone of us! Keep on keeping on!!! Larry – thank you for your kind words! I love this reminder of great individuals who MADE their own success — not in a day, or through blind luck — through following their passion in good and bad times. Great points, Paul. Thanks for sharing! Best article I’ve read this year. Lynn – coming from you, that means a lot, Lynn. Much appreciated! BRILLIANT! Thank you so much for sharing, David! YOU have such an INSPIRING & BRILLIANT MIND! Elizabeth – you are way too kind! David, thank you for sharing your experience and reminding us all that persistence determines the foundation of our roots which supports the tenacity of our reach and stability through the storms. Sofia – Nice hearing from you! Right on! Well spotted, excellent examples. I’d love to ask these remarkable people what propels them in the 11th hour of struggle, what comes to their aid? Is it sheer will power? the echo of wise words? David, so incredibly true! Loved the article and kept thinking of my favorite synonym to Persistence: Grit. Well said, Ken. True Grit. David, just binge watch your videos. Excellent work and proven principles. Thanks for sharing. This was outstanding. Thank you.